Get A FREE Marketing Kit to help your practice promote your in-house membership program! 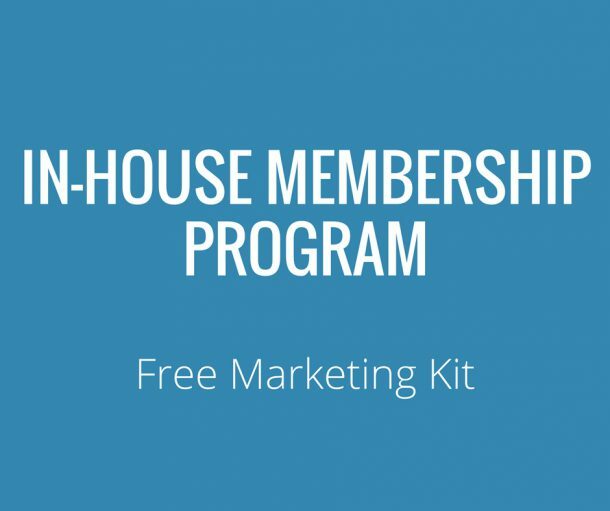 Download Our In-House Membership Marketing Kit! Download this FREE Marketing Kit and Start promoting your practice! We have just sent you the marketing kit. Check your email! Sometimes it can be sent to your spam or junk inbox. Check that too!